Although foot and ankle pain affects an estimated 20% of the general population and this figure rises to around 90% in people with rheumatoid arthritis, they are frequently trivialised and overlooked. Podiatry and foot health services should, therefore, be a vital part of all MSK and rheumatology services but all too often that’s not the case. This webinar will explore the role of podiatry in multidisciplinary rheumatology & MSK teams and provide examples of how foot health needs can be provided within clinical pathways. The first presentation by Dr Mike Backhouse (University of York) will summarise the latest evidence regarding access to foot care services, update attendees on the latest guidelines, and provide examples of different models for delivering foot health services. Prof Cathy Bowen (University of Southampton) will then look at the early findings from a systematic review of guidelines for the management of foot health. She will discuss her recent analysis of the UK GP database of encounters and referrals for foot pain and arthritis. She will also present common themes emerging from interviews with GPs and commissioners, patients, and podiatrists and consider how foot health can be addressed in MSK pathways. The webinar is aimed at commissioners and managers of MSK services and everyone involved in treating patients with MSK conditions affecting foot health. Dr Mike Backhouse has a background in podiatry having qualified from the University of Southampton, and over a decade of experience in applied clinical research. His research is highly multidisciplinary and ranges from large pragmatic clinical trials to imaging and mechanism of action studies, all of which aim to improve the lives of people with musculoskeletal disease and other long term conditions. Professor Catherine Bowen has a specific education and research focus related to investigation and management of inflammatory and non-inflammatory arthritic manifestations within the foot and ankle. Catherine currently holds a UK NIHR Fellowship award investigating optimal models of foot care for individuals who have osteoarthritis (OA). As Professor in Podiatry at the University of Southampton and Honorary Lecturer at the University of Oxford, Catherine leads a multi-professional research partnership with a focus on MSK foot and ankle pathology. If you can’t join live, sign-up to get a link to replay the webinar recording at a convenient time. This webinar covers why it is important to appropriately plan a patient’s pregnancy journey, to minimise disease activity to ensure an optimal outcome for mother and baby, and how healthcare professionals can ensure they initiate conversations around family planning at an early stage. Disease onset for patients living with chronic inflammatory disease (RA, PSA, axSpA and PSO), tends to overlap with peak female reproductive ages. Currently, many women receive inconsistent advice regarding family planning and treatment options during pregnancy. It is important to plan with patients early on and to initiate the discussions even if the patient is not currently planning to get pregnant. High-disease activity and certain medications (such as NSAIDs and high-dose corticosteroids) have been shown to affect fertility. Active disease is also associated with an increased risk of complications. Adequate disease control before and during pregnancy is crucial to ensure the best maternal and foetal health. Patients who are well controlled during pregnancy are in an optimal position to prepare for birth and breastfeeding. Current challenges of family planning within this patient group. The need to encourage earlier family planning discussions between patients and health care providers, even if the patient is not currently planning to get pregnant. Current guidelines and evidence-based medicine in the management of young women in their journey through to motherhood. Healthcare professionals with patients living with chronic inflammatory disease including rheumatologists, nurses, GPs, gynaecologists, obstetricians, midwives, pharmacists. ARMA webinars are free to access thanks to the support of our partners. We would like to thank UCB for supporting this webinar who have had no editorial control/input in its development. Professor Catherine Nelson-Piercy MA FRCP FRCOG, Consultant Obstetric Physician, Guy’s and St. Thomas’ Hospitals Trust and Queen Charlotte’s and Chelsea Hospital. The importance of integrating psychosocial care into the treatment of long term musculoskeletal conditions is well established. What would this look like in practice? Using the example of the 3 Dimensions for Long Term Conditions service at King’s Health Partners this webinar covers why and how to provide and effective integrated service which benefits patients and works for clinicians. The 3 dimensions service is not an MSK service, but the approach would work equally well in supporting people with MSK conditions. Depression is the most common co-morbidity among people with rheumatoid arthritis (RA), and the presence of depression can lead to a person’s pain and overall disability being worse. Yet in a recent survey of people with RA, 2 in 5 had never been asked by a healthcare professional about their emotional or psychological wellbeing. Twenty two percent had a diagnosis of depression, but 37% of these were not receiving treatment for that depression. The webinar explains why we need to integrate mental and physical healthcare, common psychological reactions and symptoms. It describes an example of psychosocial integration using a stepped care approach and explore the challenges and successes of joint working. Who should watch: This webinar is for anyone involved in providing or commissioning services for people with long term musculoskeletal conditions. 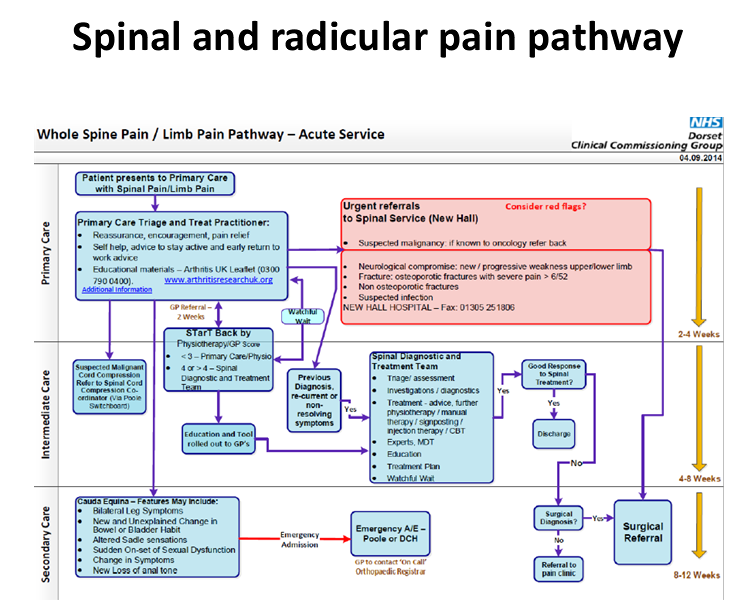 The webinar aims to support the implementation of the National Back and Radicular Pain Pathway. It explains the pathway and present data from early adopters to help make the case for change in your local area. The physiotherapist that led the implementation of the NBRPP across Cheshire and Merseyside as part of the Walton Centre Vanguard Project will talk about her experiences, common barriers to implementation and strategies to overcome them. Back pain is the largest single cause of disability in the UK, with lower back pain alone accounting for 11% of the total disability of the UK population as well as the largest cause of sickness absence. The NBRPP is the product of a unanimous consensus of 29 stakeholders based on best evidence. Its objectives are to provide a streamlined care pathway for radicular pain and an effective, managed pathway for patients with low back pain. Value impact analysis has indicated substantial cost savings in early implementation in the North East. The Pathway is demonstrating improved clinical results in patient clinical outcomes and patient satisfaction. Who should watch: All professionals involved in the commissioning and delivery of spinal care. This webinar describes how we set up the Telford Musculoskeletal Service, some of the problems we encountered along the way, and our solutions. After winning a tender three years ago, the MSK Service was devised to be a single point-of-access for Rheumatology, Pain, Physio, Orthopaedics and musculoskeletal services in the NHS within Telford. The service is a Prime Vendor-type model with Shropshire Community Trust holding the main contract and sub-contracting to other NHS and Private providers in the locality. Who should watch? Commissioners, First contact practitioners, GPs, hospital consultants, physiotherapists, Patients and Patient Organisations and charities. Claire Horsfield, Outpatient AHP Service Manager at Shropshire Community Health NHS Trust. ARMA webinars are free to access thanks to the support of our partners. We would like to thank Roche Products Limited and Chugai Pharma UK for supporting this webinar with an unrestricted independent grant. The pharmaceutical companies have had no editorial involvement in this webinar. The benefits of physical activity for musculoskeletal health are well known. Despite this, many people are less active than recommended levels. People with musculoskeletal (MSK) conditions have additional barriers caused by their condition, particularly pain. What can be done to support people to be more active? Three different initiatives attempt to do just this. Moving Medicine and the Chartered Society of Physiotherapists Love Activity campaign both aim to help supportive conversations with patients about increasing physical activity. parkrun MSK ambassadors aim to provide a safe environment to encourage and support people to walk or run or volunteer at their local parkruns. The webinar looks at how clinicians can encourage and support physical activity and how activity providers can better understand the needs of people with MSK conditions and how to make them feel included. Who should watch? Anyone who works with people with MSK conditions, providers of physical activity and those working in public health. This webinar describes the Integrated Pain Assessment and Spinal Service (IPASS) which started in 2016 in Berkshire West. We discuss the previous state of pain management in Berkshire West and the reasons for coming together as a system to develop IPASS. The video covers how joint working with a strong patient focus can improve outcomes, and outlines the positive outcomes after IPASS, a services that has been recognised by the British Society for Rheumatology (BSR) for a Best Practice Award in 2016. Click here to download the PowerPoint slides for this presentation. Watch the recording of this webinar in a YouTube window. Choosing Wisely UK is part of a global initiative which aims to reduce unnecessary tests and treatment by promoting shared decision-making conversations between patients and their healthcare professionals. The British Society for Rheumatology’s (BSR) recommendations were developed in partnership with patients, nurses, and primary and secondary care clinicians. This webinar outlines the principles of Choosing Wisely UK including a discussion around shared decision making. We describe the process by which the BSR’s recommendations were developed, before discussing each recommendation in turn and what it means for practice. Everyone interested in optimising care for people with musculoskeletal problems, including patients, carers, clinicians from primary and secondary care, allied health professionals and commissioners. Lizzie MacPhie, Consultant Rheumatologist, Lancashire Care NHS Foundation Trust, and Chair of the British Society for Rheumatology’s Standards, Audit and Guidelines Working Group. The webinar outlines how a community-based rheumatology service can provide effective management of rheumatology patients, with benefits both to the patients and the usage of clinical resources. The Service is commissioned by the CCG and GPs from participating practices refer directly into the Community service. 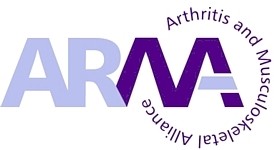 The service was initially established in 2009 by a GPWSI who had 10 years + working in a secondary care rheumatology service as a clinical assistant, together with a nurse consultant in rheumatology with over 20 years’ experience. Findings from the pilot study demonstrated that patients requiring disease-modifying anti-rheumatic drugs (DMARDS) can easily be managed in a community setting. A community setting with provision of the specialist skills provides patients with local, more convenient care and reduced disengagement. It also optimised the use of local resources – for example, moving some of the routine follow-up activity for rheumatology patients (such as drug monitoring) would undercut the tariff by 30%. Patients see the most appropriate member of the healthcare team allowing more effective management of their condition and freeing up specialist rheumatologists for more acute cases. The service now has 3 GPWSI, 1 extended scope physiotherapy practitioner, 2 nurse consultants and a clinical nurse specialist, as well as 6 consultant sessions per month plus 2 full time administrators. Who is this for? Commissioners, GPs, clinicians working in rheumatology services. As a group musculoskeletal conditions cause 31.3% of all years lived with disability, and their incidence is rising as the population ages. Understanding this at a local level is therefore crucial in public health, prevention and health and care provision. With an ageing population this becomes increasingly important for a healthy workforce and a strong economy. 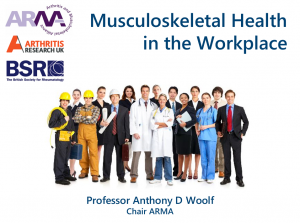 This webinar was one of a series delivered in partnership between the Arthritis and Musculoskeletal Alliance (ARMA) and NHS England. Using the example of the London Borough of Ealing and NHS Ealing CCG, the webinar outlined the development of the JSNA chapter and why this is important for improving the musculoskeletal health of a local population. The JSNA is a statutory document that describes the health and social care needs of the population, identifies gaps and unmet needs, and makes evidence-based recommendations to health and social care commissioners. Download the slides for this webinar in PDF format. This webinar is aimed at NHS Trusts (or other bodies) that are thinking of setting up, or refining, an MSK service, and professionals who wish to find out more about the FSEM, particularly those that are considering following this speciality as a career. To watch the webinar recording, click here. The recordings on this page can be opened normally as streamed media in your browser. There is also the option with many of the webinars posted in early 2017 to download and keep the recordings. To do this, please acquire the free Webex Player software via this link. The Webex Player allows for off-line viewing and conversion of the webinar files to other video formats. The work illustrates the values, strengths based approach and core skills to enable the workforce to more consistently build relationships and partner with people to support effective prevention (at all levels from obesity to loneliness to medicines compliance) and self-care/management. The webinar discussed the thinking to date, considered some areas where the techniques have been utilised and the impact they have had for people, both patients and staff. The conversation then explores the ‘how’: how we shift thinking for services and busy people from reactive to preventative, how we skill people to habitually work in this way and support their own behaviour change in service. Chronic joint pain accounts for around 1 in 5 primary care consultations. GPs feel overwhelmed and are concerned that they don’t have the time or the skills to give people adequate information or advice about exercise and weight control (NICE core recommendations). 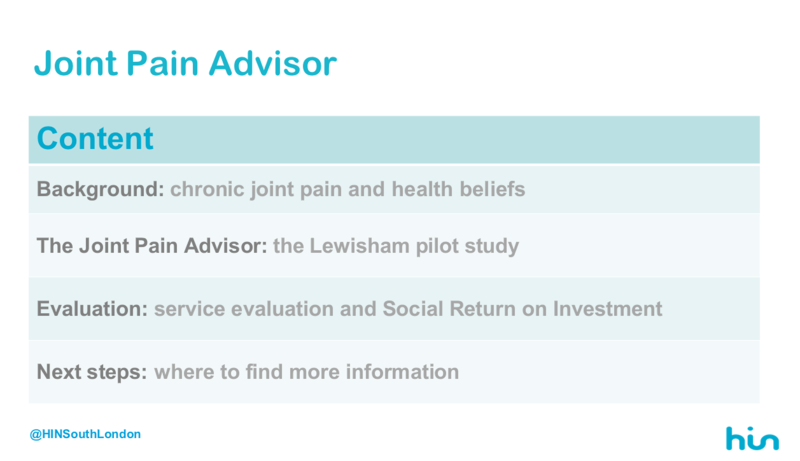 To improve access to better management London Health Innovation Network has introduced Joint Pain Advisors into six primary care surgeries. Their role is to give people simple information, advice about self-management strategies, constructed personalised care plans and use behavioural change techniques to help people adopt healthier lifestyles. Patients were reviewed at 3 weeks, 6 weeks and 6 month intervals, at which the Advisor fed back progress, reinforced health messages and provided on-going support, reassurance and encouragement where required. Over 500 patients used this service and reported less pain, better function and higher activity levels. A high satisfaction rate was achieved which included reduced BMI, body weight and waist circumference and has led to fewer GP consultations, investigations and onward referrals. The Joint Pain Advisors role has been enthusiastically accepted and is a more effective, efficient and sustainable way to deliver care to this high proportion of people. 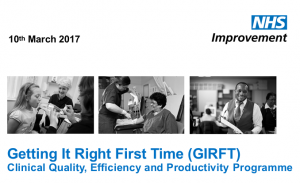 Getting It Right First Time (GIRFT) is a national, clinician-led programme, created to help improve the quality of medical and clinical care within the NHS by identifying and reducing unwarranted variations in service and practice. Following a successful pilot in orthopaedics, led by Professor Tim Briggs of the Royal National Orthopaedic Hospital, GIRFT has received £60m of Government funding and is now being rolled out to more than 30 specialties including neurosurgery, emergency medicine and cardiothoracic surgery. This webinar explores the philosophy behind GIRFT, its methodology, including the deep dive data analysis and peer-to-peer engagement with frontline medics, and importantly the benefits it has brought in improving patient outcomes and delivering efficiencies through the sharing of best practice. Trusts involved in the pilot programme have already reported direct savings and benefits of between £20m and £30m, with an additional £15m to £20m expected in the second year. At the end of GIRFT’s three year funding it is expected that the programme will have helped prevent £1billion of wasted costs and unnecessary treatment. The webinar was jointly presented by Rachel Yates, Managing Director of GIRFT, and Mary Newman, Interim Head of Policy and Implementation GIRFT. It will be of interest to Health Care Professionals and Commissioners from CCGs, Primary & Secondary Care and Clinicians. 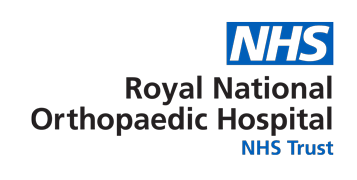 Clinical Networks: Transforming Musculoskeletal Care in North West London. To open the narrated slide presentation (powerpoint with audio), please click below. 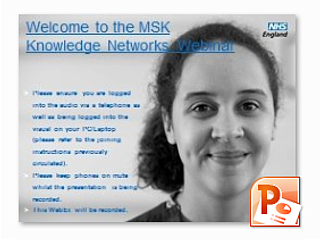 Learning objectives, programme and more details are available on the MSK Knowledge Network on Yammer. Please see the “Useful Documents, Tools and Files” section. You can also find the full video version of this presentation and slides-only version there. Presentation on MSK Physiotherapy in Primary Care (Self-Referral to Colocation) led by Chartered Society of Physiotherapy (CSP). Click image to open presentation on Prez.com. Musculoskeletal disease (MSK) is one of the largest single sources of disability in the UK and MSK services are making major changes to address growing demands. To date few direct measures of health status have been in place which could be used across the spectrum of MSK to inform service improvement. 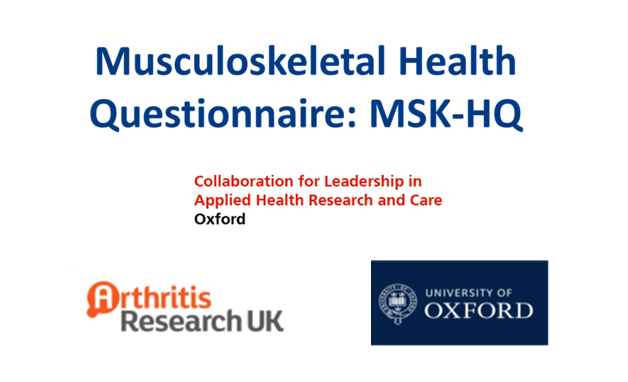 The introduction of the Musculoskeletal Health Questionnaire (MSK-HQ) has been developed to meet this need. The webinar will introduce different possible applications from audit, quality improvement and performance evaluation through to facilitating communication and personalised care with individual patients. The role of Patient Reported Outcome Measures (PROMs) will also be discussed. 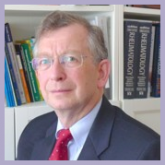 The webinar was presented by Raymond Fitzpatrick, Professor of Public Health and Primary Care and Elizabeth Gibbons, Senior Research Scientist both from the University of Oxford who provided an overview of their experiences and plans for use of MSK-HQ in various NHS settings. This webinar will be of relevance to any health professional, manager or commissioner concerned with MSK service provision. Dr Christian Verrinder and Dr Giles Hazan share aspects of their experience to date in MSK commissioning, including their thoughts on: process, structure, design, procurement, implementation and review. This webinar looks at how we can build on current service provision for people with MSK conditions in order to identify how and where current services and support can be improved and reflects how this new programme of work has influenced the commissioning of MSK services. The Musculoskeletal Health in the Workplace Project aims to prevent work loss caused by musculoskeletal problems. In 2013 31 million lost workdays in the UK were attributed to musculoskeletal conditions, compared with 27 million for minor illnesses like coughs and colds and 15 million for stress and anxiety. We are all living longer and working longer so we need a system that promotes economic independence, health and wellbeing and productivity throughout life. The Musculoskeletal (MSK) Health in the Workplace Project aims to prevent work loss caused by musculoskeletal problems. There has been much focus on health protection but the problems remain. There is a need for a different approach that brings together health promotion and health protection along with health management with a focus on being proactive rather than reactive; enabling managers and employees to achieve this; and empowering people to and self-manage their MSK condition. The management of MSK problems needs to focus on getting people back to functioning in order for them to stay in or return to work. Early intervention, rehabilitation and return to work support are all ways of achieving this. 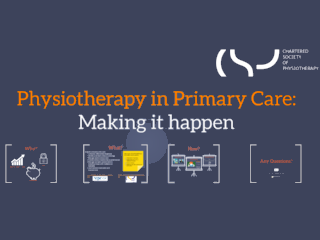 This webinar looked at how we can build on the current service provision for people with MSK conditions in order to identify how and where current services and support can be improved. It was presented by Professor Tony Woolf, Consultant Rheumatologist and Honorary Professor of Rheumatology, University of Exeter Medical School, and Plymouth Peninsula Medical and Dental College. The webinar was produced in participation with Arthritis Research UK and the British Society for Rheumatology, targeting a specific audience of MSK professionals, Occupational Health leads, GPs and CCG Commissioners. Building on the current service provisions for people with Musculoskeletal conditions. We are pleased to be able to share the news that ‘Improving Lives – the Work, Health and Disability Green Paper’ was published on the 31 October 2016 by the Department for Work and Pensions and the Department of Health and reflects the Government’s new and ambitious approach to work, health and disability. We want to spark a far-reaching, national debate on the issues and the proposals set out in the document, ensuring that we listen to you so that we can develop our programme of work and understand the role others have to play in driving action forward. How can you as a service user be involved and help shape your future services? The Work and Health Unit would like to work closely with people working in or needing Musculoskeletal services in order to identify how and where current services and support can be improved, as we start developing policy proposals for improving MSK services for both service users and professionals. how do you access MSK services and how can this access be improved? how can you be assisted to stay in work/return to work after being away from work due to your condition? how can practitioners (non-specialist health, employability professionals, work coaches) help you with work and health issues? how MSK services can provide you with the help and care you need and link with employment support to deliver a more joined-up service for you. This webinar was part of a public consultation which ran until 17th February 2017. An online survey hosted on Citizen Space also provides a simple and easily accessible way to respond to all consultation questions. It can be found at: https://consultations.dh.gov.uk/workandhealth/consult/. ‘Improving Lives – the Work, Health and Disability Green Paper’ can be found at http://www.gov.uk/workandhealth. Falls and fractures are a common and serious health issue. The human cost can include distress, pain, injury, loss of confidence, loss of independence and mortality. For health services they are both high volume and costly with 255,000 falls related emergency hospital admissions per year for older people in England and the annual cost of hip fractures to the UK estimated at being around £2 billion. RightCare is a national programme to improve population health by addressing unwarranted variation. In collaboration with national experts and patient groups, is launching an ‘Optimal Solution for Falls and Fragility Fractures’ to support systems to improve outcomes. In January, a number of national organisations launched a ‘Falls and fragility fractures consensus statement’ and we are now publishing an accompanying technical annexe with resources to support delivery of key interventions and the RightCare Optimal Solution. The webinar will introduce the Falls and Fragility Fractures Optimal Solution and how this is supported by the new technical annexe. 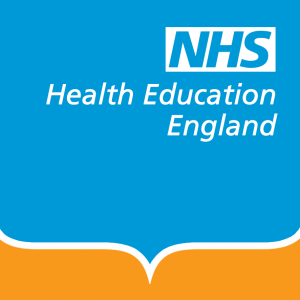 This will assist health economies in the delivery of key interventions including how to develop a fracture liaison services according to clinical standards as well as strength and balance exercise programmes. For those with established services, this is an opportunity to ensure that your service is optimally configured for your population. This webinar will be presented Amy Bowen, Optimal Solutions Lead NHS RightCare, Daniel MacIntyre, Population Health Services Manager, Public Health England, Tim Jones, from National Osteoporosis Society and Ann Parry, living with osteoporosis and will be of relevance to any health professional, manager or commissioner concerned with improving Falls and Fragility Fracture Services.